The software will run on your computer. Our software runs on all Windows-based and Mac OS-X computers. If for some reason you have trouble installing it, we’ll get on the phone and help you get it installed. That’s what we’re here for. If you need help, let us know. It will help you plan your retirement savings and income (or those of your clients if you are an advisor). This software has been used by thousands of people since 1995. We know it works and that it will help you. Don’t take our word for it though. Try out the free demo and see for yourself. If after purchasing the full version you don’t find it useful, we’ll refund your money. If there are any bugs, we will fix them. Hey we’re not perfect. Sometimes bugs can creep into software releases. If there is something not working right, we’ll fix it in the next release. We do almost 1 release a month and you get them free via the built-in Internet update engine. If you need support, we’ll be there for you. There’s nothing more frustrating than having a question or needing help with software and not being able to get it. We’re here and have been since 1993. We can help you by email or by phone. We respond to requests promptly. Better than almost any company out there. You’ll be surprised how quickly you will get a response from us. That’s just the way we are. We care about what we do and helping you get the most out of our software is part of our job. 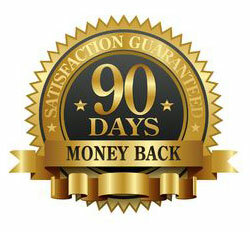 In return for our unheard of 90-Day MONEY BACK GUARANTEE, we were wondering if you could in return help us. If you do use our software and find it as helpful and useful as others have, would you mind emailing us a note telling us why you like our software and how it is helping you? You can read some of the feedback from other users on our website. ** The fine print: this guarantee is only for new customers, not for anyone that has previously bought our software. Idea being that if you’ve used it before you should know how it works and not have any reason for a refund. Also, if you buy the software on a payment plan, you are agreeing to waive your right to the Money Back Guarantee in exchange for not paying the entire amount up front. If you are on a payment plan, you will have plenty of time to get the software, learn it, use it, and make it work in your practice. If you need help, call or email us. We will be glad to assist any way that we can.